Three Treasures is conveniently located in Haiku, Maui. Massage Therapy and Eye Care. This is the right place to rejuvenate your body, leave behind all your ailments and feel the vibrant health of your being. 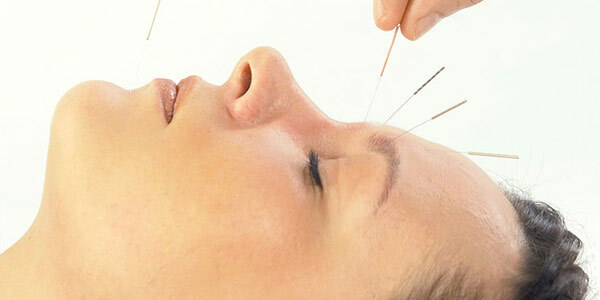 Choose from three forms of holistic medicine including acupuncture, herbal medicine and massage. As a holistic healing sanctuary we see each individual as unique expressions of the whole, sometimes needing an extra loving touch, a caring acupuncture consultation or the magic of nature’s herbal medicine to invigorate and re-balance body, mind and spirit. Several Techniques & Therapists. 60 min for $85 or 90 min for $120. Herbs capture the essence and healing power of the plants. For All Massage Styles, Acupuncture, Herbal Products. Using energy lines in the body to heal organs, tissues and senses. Your health care providers are passionate and highly skilled in the art and science of healing, empowering our clients with knowledge and nurturing them within the healing process. This is a holistic approach and the participation of the client is required. Sign up below and receive our monthly newsletter filled with health tips, workshop news and special product offers. "I was diagnosed with hyper active thyroid and the allopathic medicine made me sick so I was looking for an alternative and found the Three Treasures since I am in treatment with Ricardo, my overall health improved and I am very contented and feel good. I am happy to recommend the services from the Three Treasures to all of my friends and family." "Dear Astrid and all people, I would thank you for all the nice treatments. You are really a professional. Kind, calm and so nice :-). It was a pleasure to meet you all. I hope I see you again and anyway be my guest when you are in the Netherlands. I looked forward to see you. Much much much greetings and love from the deepest place in my heart. Blessings and light for you all, Mahalo 'oe'. With love from the Netherlands." "I have been suffering from Plantar Fascitis for 4 ½ months. Every morning I wake up, I’d have shooting pains going up from my left heel. The doctor offered me a cast, but at 4 ½ months I was still suffering. My friend Moe introduced me to Ricardo and in one session I can walk! There’s no pain! I still need a few more sessions, but if it brings me back to my feet and walking without pain I have no problem with that! Thank you Ricardo! God bless you." "Mahalo Chinta and Ricardo for being who you are. It’s been at least 10 years that we have known you. The moment you walk into your office it’s tranquil and peaceful, and you known that you are in good 'hands'. Chinta with the wonderful massages and Ricardo with his advice on what medications to take. Very calming, always feel welcomes. And you have their power that you will be okay when you leave. Mahalo for taking good care of us." "You guys are simply the best! I recommend you to everyone! Lots of gratitude." "Chinta, thank you for your healing touch. Not only do your hands heal but they inspire me to lead a more well-balanced life, in touch with what is real and true." "Thank you for many years of positive health and support with my car accident. With Allstate Insurance Company you both have done me some good. Their multi-facetted support is a special gift. I am grateful for all the various studies and education they have done and continue to do. They are the foundation of my health team and blessed to have them on my journey." "I have been coming to Three Treasures for over 10 years. Their knowledge, caring and abilities to contribute greatly with my healing journey. Quite honestly I don’t know where I would be without them (could be a scary place of labels and medication)." Learn deep pressure & balanced gliding with Thai & Yoga moves. Our herbs capture the essence and healing power of plants. We treat degenerative diseases of the eyes with acupuncture. Relax into the water; to let go, suspend, be held and float. THREE TREASURES • LONG CUT from Fern Colab on Vimeo.